Updated for 2018! 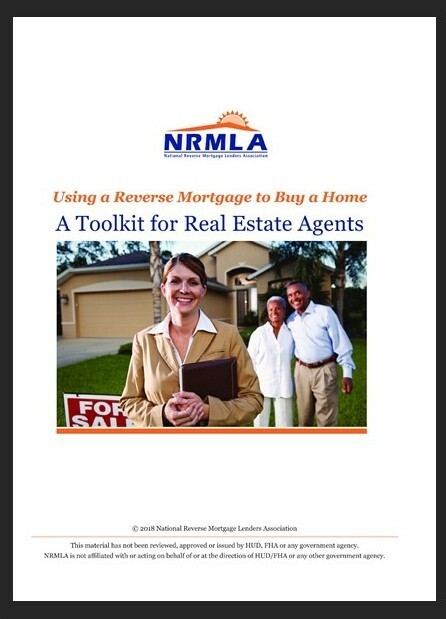 This free toolkit for real estate agents from the National Reverse Mortgage Lenders Association explains how senior homebuyers can use a reverse mortgage to finance the purchase of a new home with the Home Equity Conversion Mortgage for Purchase program. The toolkit describes the benefit of using HECM for Purchase and outlines the HECM for Purchase real estate transaction with tips for writing the contract and working with a participating lender.